Select Macey’s pharmacies now offer low-cost, consultation and prescriptive treatment for urinary tract infections (UTI), yeast infections and cold sores. If you think you might have a Urinary Tract Infection (UTI), come visit any of our convenient Macey’s pharmacy locations listed above. Juggling a busy schedule is hard enough without trying to find time to visit a clinic, so skip the trip to the clinic by visiting select Macey’s pharmacies for evaluation and necessary treatment, no appointment needed. Although not usually serious, UTIs should be treated quickly. If so… skip the doctor and visit one of our pharmacies. Yeast infections are common in women, at least 3 out of 4 women will experience a yeast infection in their lifetime. Although yeast infections are common and usually not serious, they can cause great discomfort. 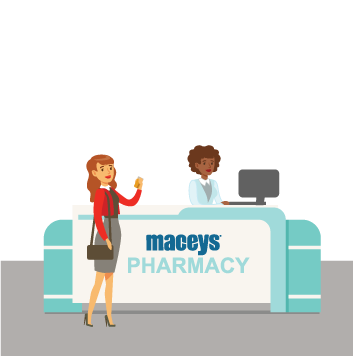 Visit select Macey’s pharmacies for a single-dose prescriptive treatment, no appointment needed. Time is of the essence when it comes to cold sores. You feel the tingling, followed by burning around the edge of your lip or corner of your mouth. Then a painful and contagious red sore appears. You need to get treatment quick to help stop the outbreak. Now available at select Macey’s pharmacies, you can receive prescriptive treatment, with no appointment. Our pharmacies accept walk-ins and have extended business hours to help you get in and out quickly. You will be asked to fill out a brief questionnaire. Our knowledgeable pharmacist will provide a short consultation where you will review your medical history and discuss your symptoms. Our pharmacist will provide you with a personal treatment plan and care instructions. Who can take advantage of treatment for urinary tract infections and yeast infections? This service is available to women over the age of 18. If you are pregnant, please schedule an appointment with your doctor. 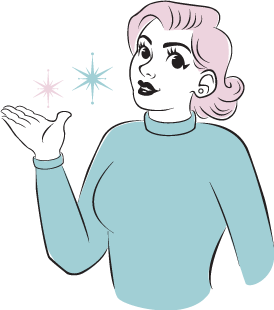 Who can take advantage of treatment for cold sores? Available to patients age 12 and older. What is the cost of the consultation? There is a low-cost fee, not covered by insurance but eligible for HSA. If you are dispensed medication, you can choose to bill your insurance for the medication. How long does the consultation take? On average, the consultation takes LESS than 20 minutes. Please allow time for proper evaluation and treatment.